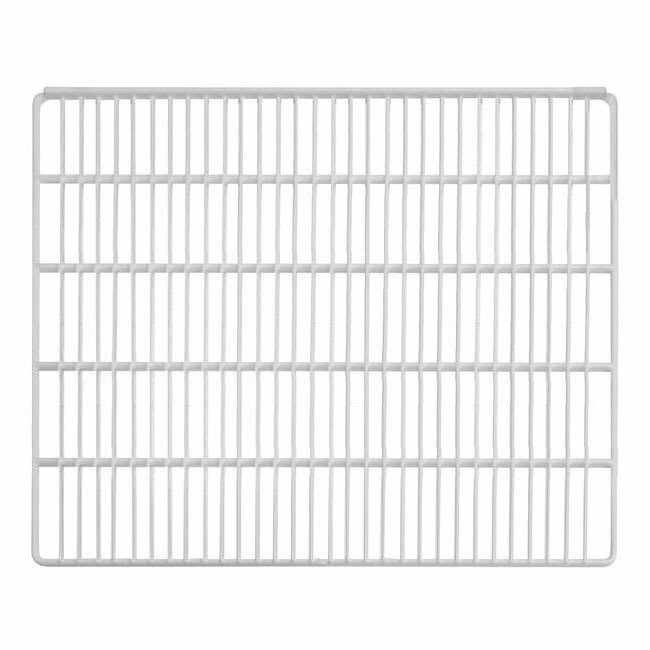 Turbo Air 30278A0207 Wire Shelf for Turbo Air TGM-35R, 18" x 23"
Wire Shelf for Turbo Air TGM-35R, 18" x 23"
The Turbo Air 30278A0207 wire shelf measures 18 inches by 23 inches and fits in Turbo Air TGM-35R-N refrigerated merchandisers. The unit's open design allows for air circulation around products and throughout the cabinet that helps ensure proper holding temperatures are maintained. A polyethylene coating on the steel wire helps protect it from corrosion and provides a bright white exterior that helps highlight displayed products. 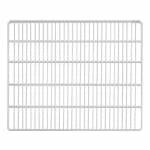 The Turbo Air 30278A0207 wire shelf installs easily thanks to the included shelf clips, so it's ready out of the box to replace a worn shelf or provide additional storage space. Overall Dimensions: 18 in. x 23 in.